When I was a boy, the summers seemed to stretch for miles, go on forever. I would look for salamanders, play hours of basketball, and walk over country roads to see my friends. I would jam out to Zeppelin, Hendrix, and Heart in my basement, and tackle lawn chores at my Nonna’s modest brick ranch, to be rewarded with a plate of macaroni with extra grated cheese. Summer was a boy’s best friend. The summers of mid-life move faster. They slow down only for wakes and funerals, to pay our respects to the departed, some taken from us too soon. This has happened several times this summer, making a lump in the throat as frequent as a daily coffee. I had heard “Boy, you guys get around” more than once. I have to agree. If we didn’t have what was equal to a summer bucket list, we had plans made well in advance to enjoy every minute of the season that we could. As soon as it’s here, it’s gone. Life travels at the speed of sound. If there is a lesson for you here, it’s this: know how important and fleeting your time is. In our house, babies once crawled and toddlers walked the earth. Now, one baby has taken to the highway, tackling the rigors of the road. I no longer read her a story and tuck her in at night. She is a high school junior. The little boy has had a growth spurt and a power surge. Months ago, I could field his grounders and catch his line drives with ease. No more. With his swings of the bat, Dad has to avoid rockets and laser beams that have potential to inflict great damage and deep bruises. The only thing keeping the balls in the yard now is the black chestnut tree that stops their progress. This yard can’t hold him anymore. His day is coming. With the car radio awash in the sounds of the 70s, it’s easy to drift back to when summers were slow and fruitful. Under those same unbelievably blue skies, the little girl is breaking out and heading to the highway. The boy is crashing fences and taking names. It’s a cruel summer with a decidedly sweet aftertaste. Let me know how your summer was in the comment section below. Start a conversation! 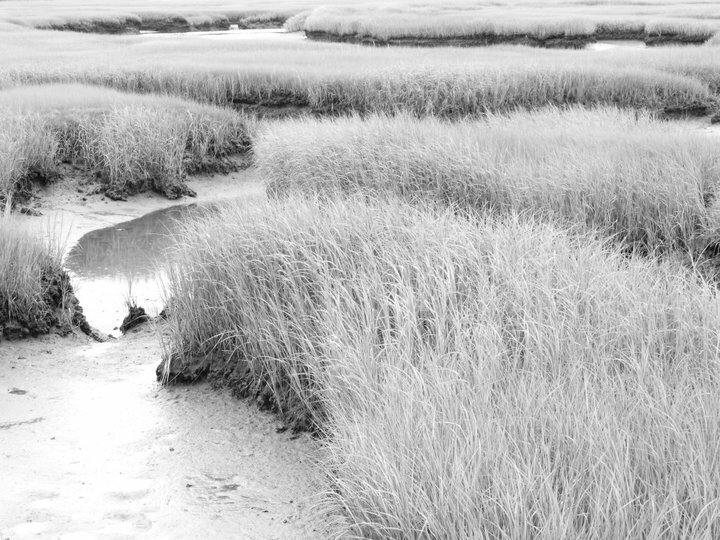 Photo credit of Cape Cod marsh to Gabrielle DeGiorgio.You can get free updates to content at this site by subscribing by email or feed reader. Feel free to share via Twitter and/or Facebook. As I sit here watching “The Green Mile”, I come across your blog. It puts into perspective how life is so short. Many of things were done this summer. Some rewarding, some not. A lot of memories built and some forgotten but it is heartwarming knowing that there is still time in this Green Mile to create new memories and reflect on the ones that have past. Thank You for the read, I enjoyed.